Sergeant Barstad was shot and killed when he walked in on a robbery at the Detroit News business office at 615 W. Lafayette Blvd. at 11 a.m.
One of six men armed with sawed-off shotguns shot Sergeant Barstad as they held 100 news workers at bay while the cashier's cage was ransacked and $14,000 was stolen. All the suspects escaped at the time. The suspect who killed Sergeant Barstad was the leader of the other five. He was Paul Jawarski, Pennsylvania's most notorious gangster, leader of the "Flathead Gang", responsible for hold-ups in various parts of the country. Jawarski boasted that he had killed as many as 26 men. In 1927 Jawarski was convicted of the murder of a payroll guard he had killed in Pittsburgh on Dec. 23, 1925 and was sentenced to death. On Aug. 18, 1927, he and another death row inmate shot their way out of the Allegheny County Jail in Pittsburgh. Jawarski and a gang he developed were responsible for several hold-ups and murders (including Barstad's) from the time he escaped until Sept. 13, 1928 when he was recaptured after being shot and seriously wounded by police in a restaurant in Cleveland, Ohio. 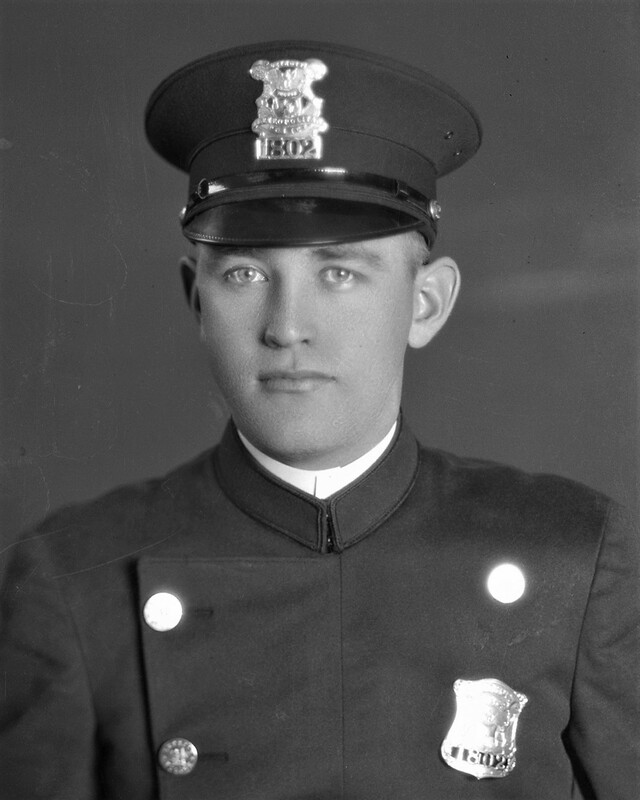 During his capture he shot and fatally wounded Patrolman Anthony Wieczorek and Patrolman George E. Effinger of the Cleveland Police Department. Paul Jawarski recovered from his wounds and was returned to Pennsylvania where he was executed in the electric chair on Jan. 20, 1929. Sgt. Barstad, who served on the police force for three years, died nearly three weeks after his shooting. He was surived by his sister and six brothers.